Police say a man was stabbed in the neck Friday evening shortly after getting off a CTA bus at North and Damen in the Wicker Park neighborhood. 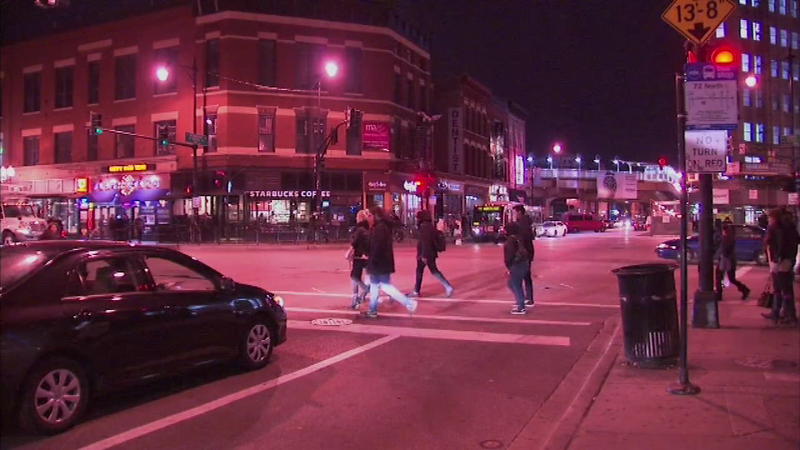 CHICAGO (WLS) -- Police say a man was stabbed in the neck Friday evening shortly after getting off a CTA bus at North and Damen in the Wicker Park neighborhood. He had apparently noticed a man being aggressive and harassing other passengers on the bus and tried to break up the fight. When he got off the bus, police say the offender followed him, then stabbed him. The attacker ran from the scene. The victim is in stable condition.